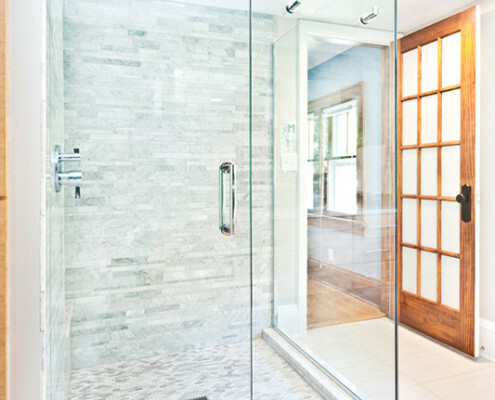 This older home in south Minneapolis had only one small upstairs bathroom for the entire home. 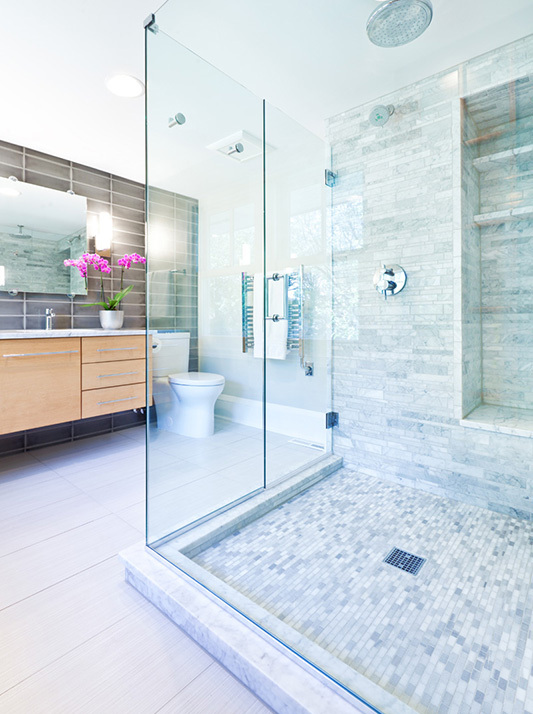 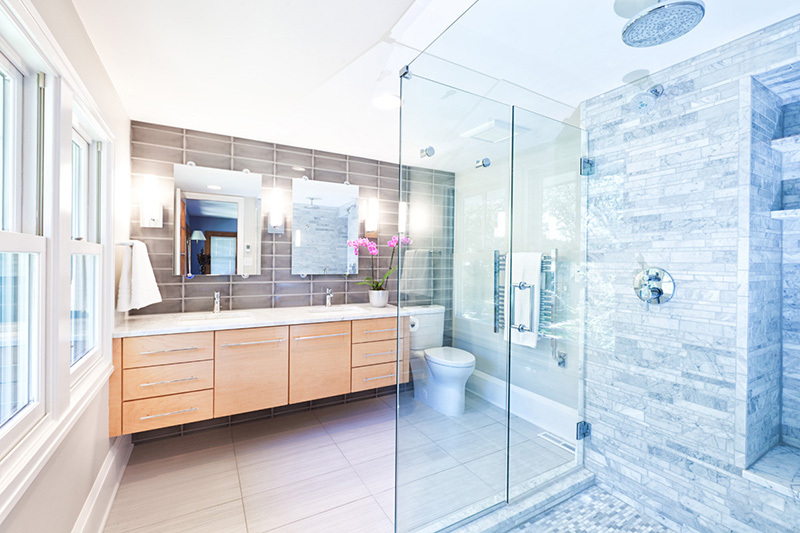 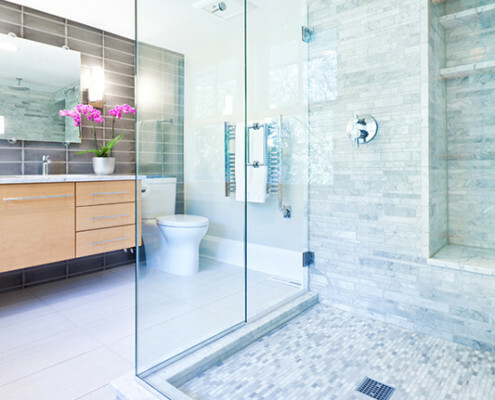 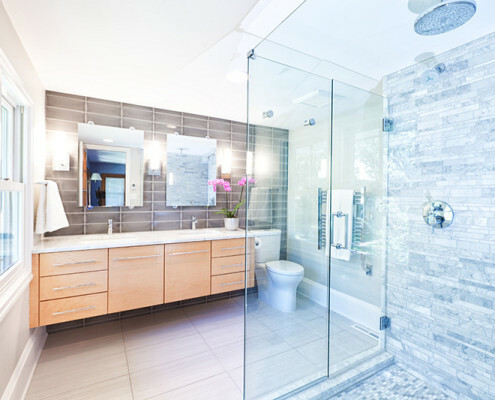 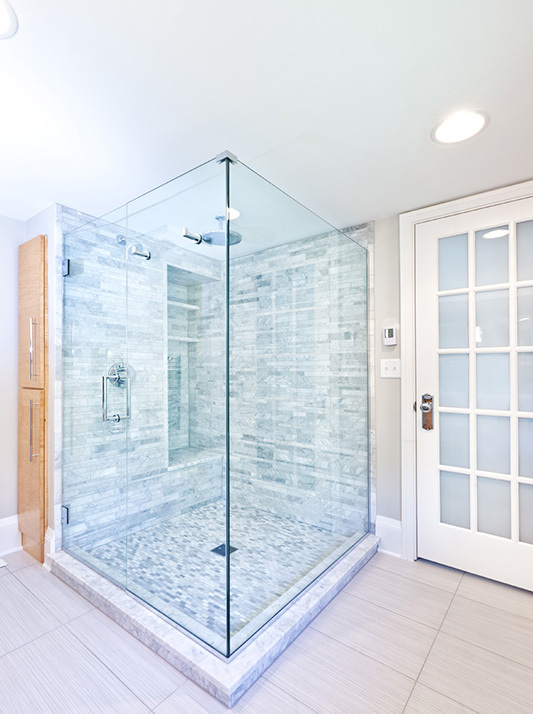 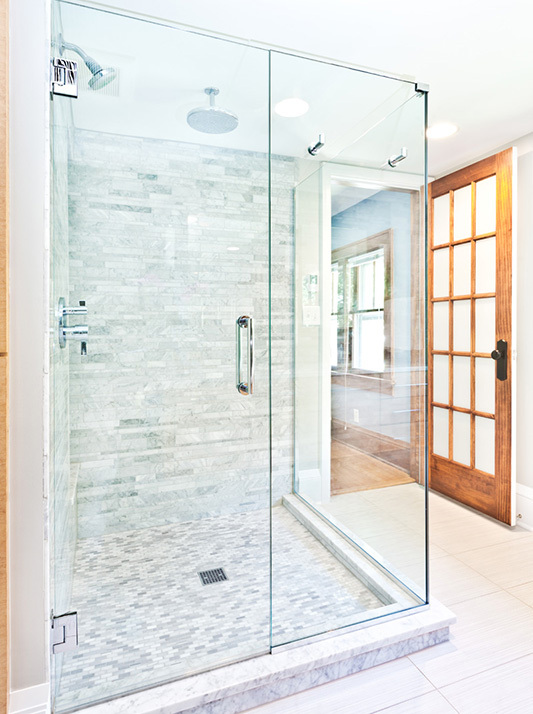 The homeowners wanted to create a master bathroom for two to share. 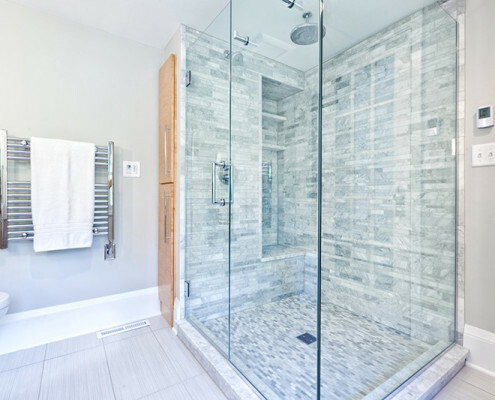 We created a larger space by using the dusting porch off the side of the master bedroom and expanded slightly into a second bedroom, without changing the usable space in that room. 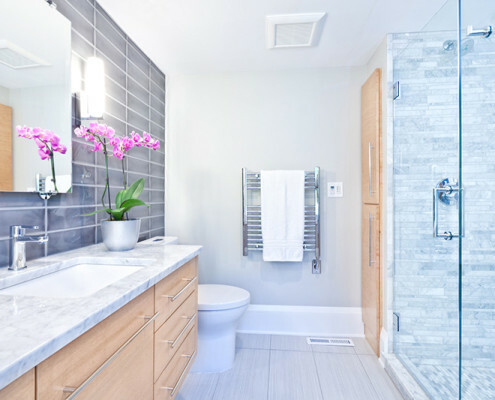 Our client wanted a mid-century modern look for the bathroom to match mid-century modern furnishings in the rest of the home, so we chose classic materials associated with older homes. 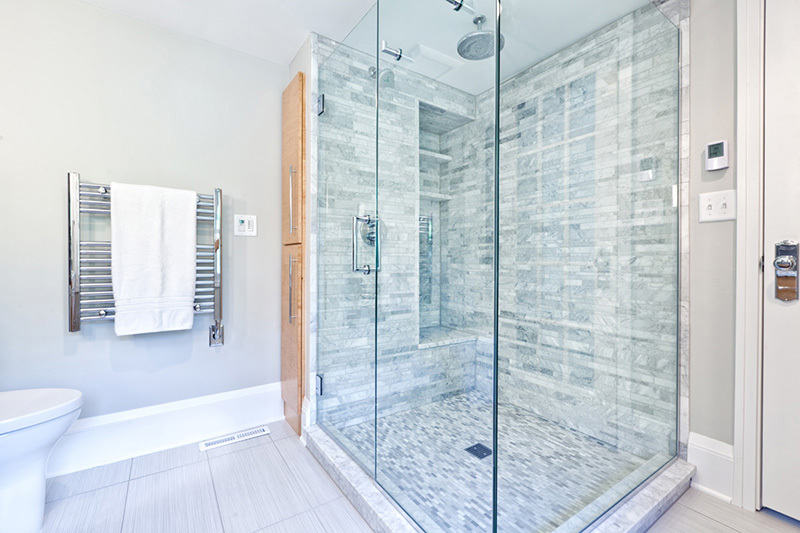 We installed Carrara marble for the shower walls, floor and countertop. 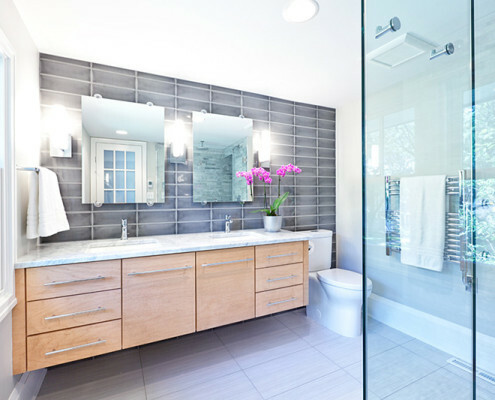 Natural wood is used for the vanity and bathroom cabinet doors, with modern details like a frameless shower and vanity mirrors. 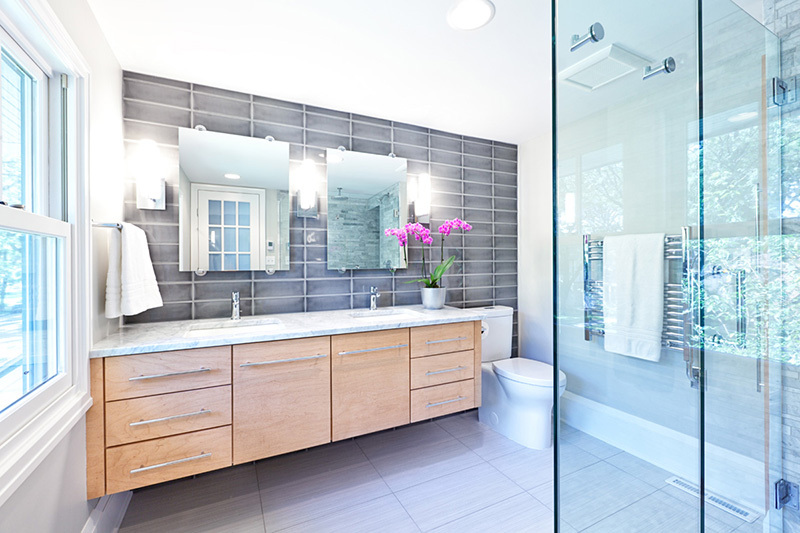 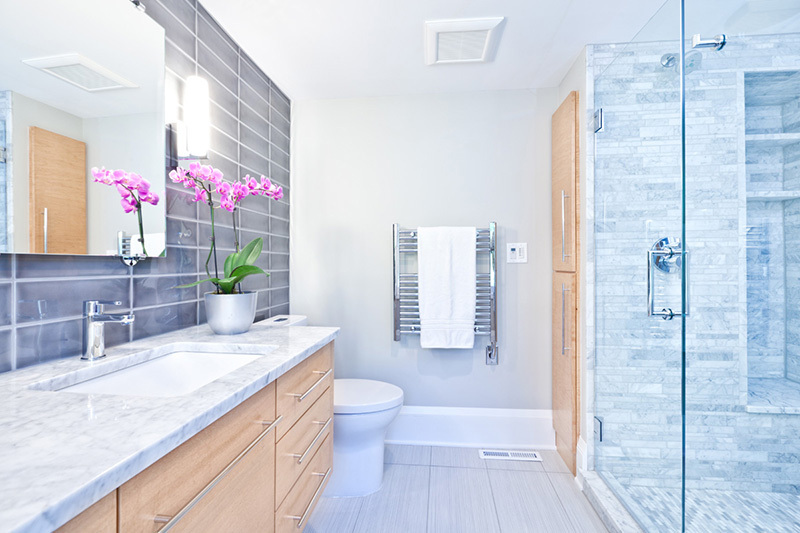 Chrome fixtures, modern tile for walls and floors, and warm grey and white accents complete the space.